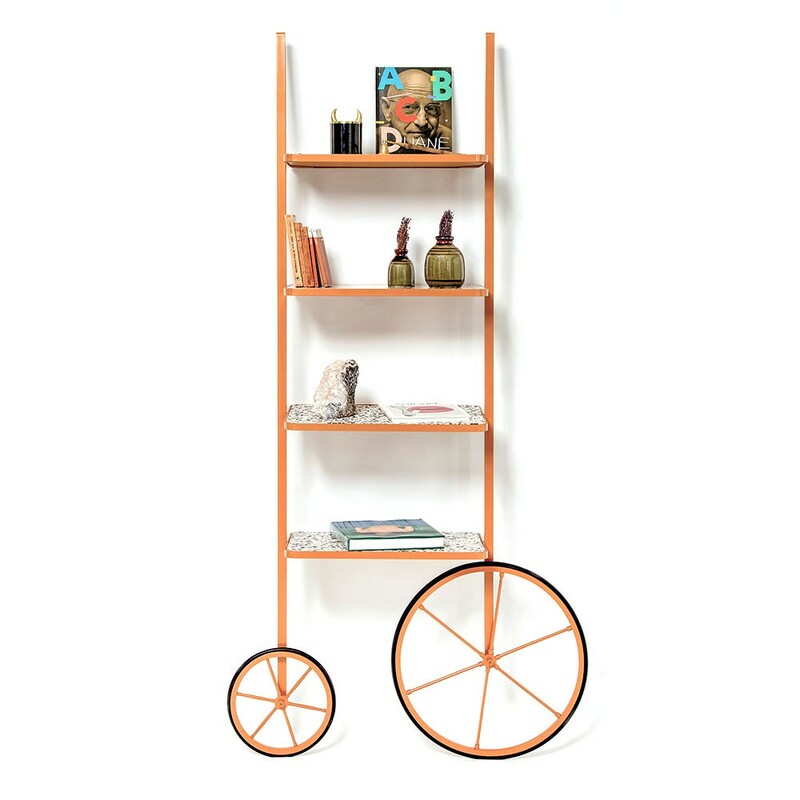 The design for Cyclopedia stems from the high wheel bicycles of the 1870s. 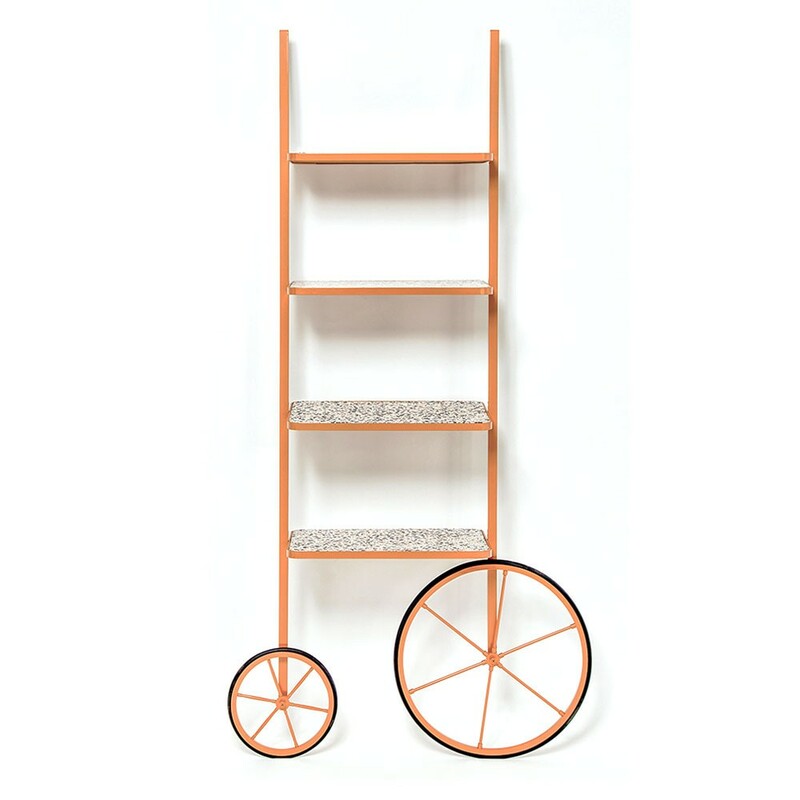 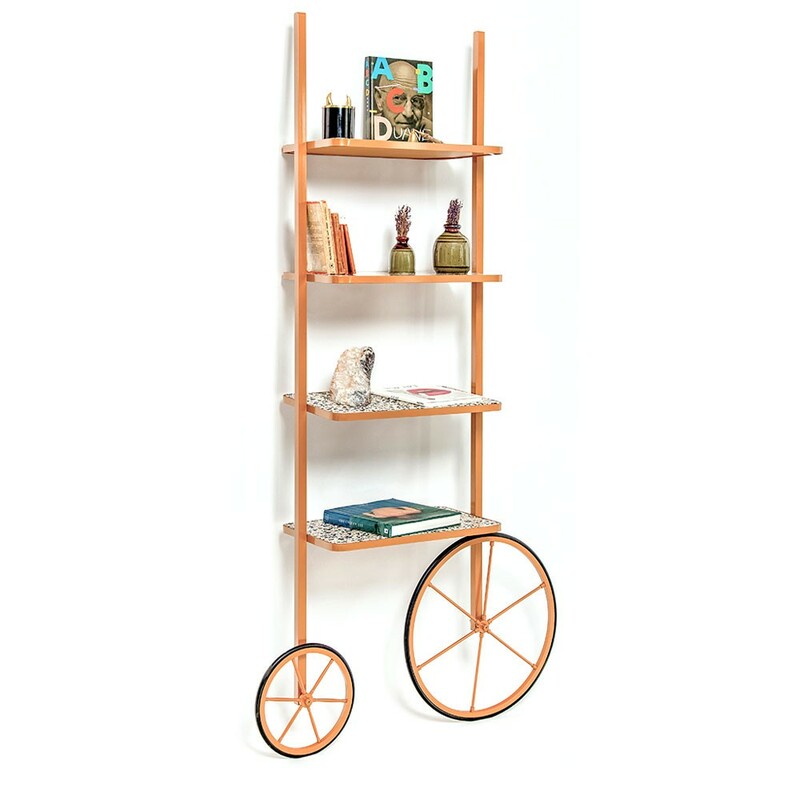 Unlike most bookshelves, Cyclopedia differentiates itself through its portable structure. 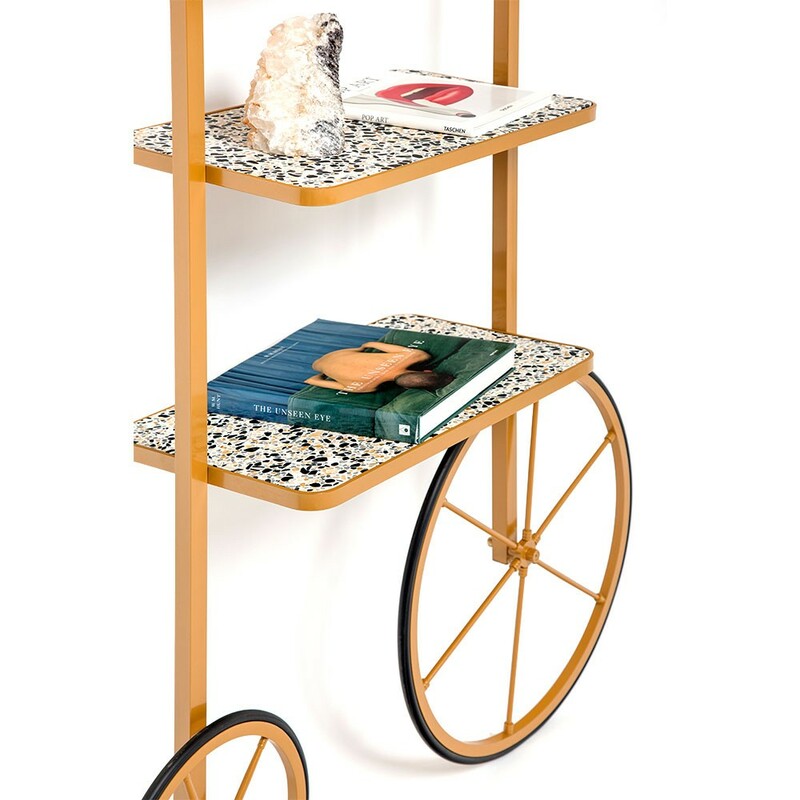 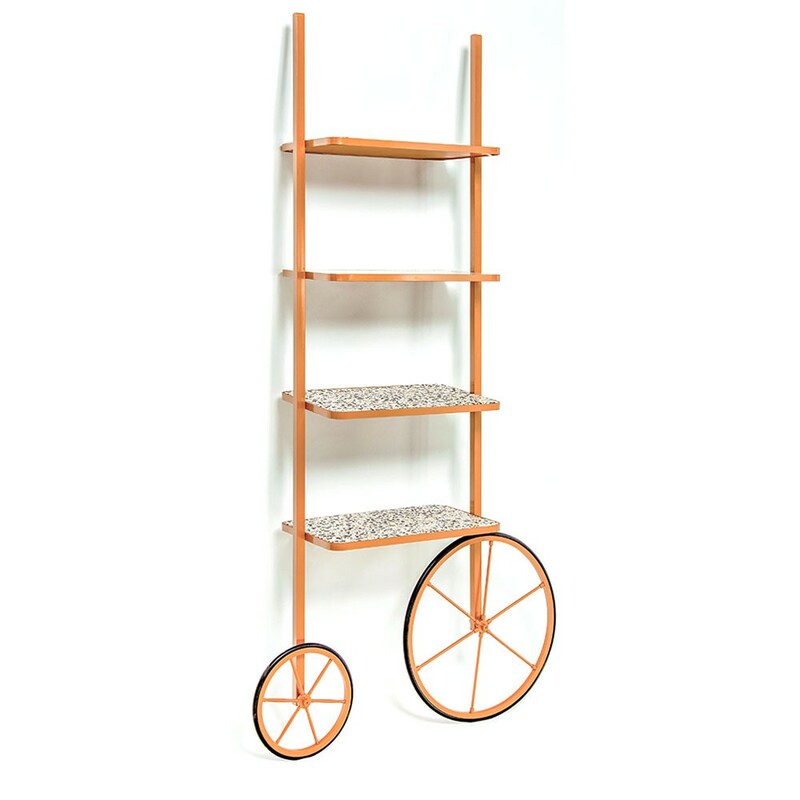 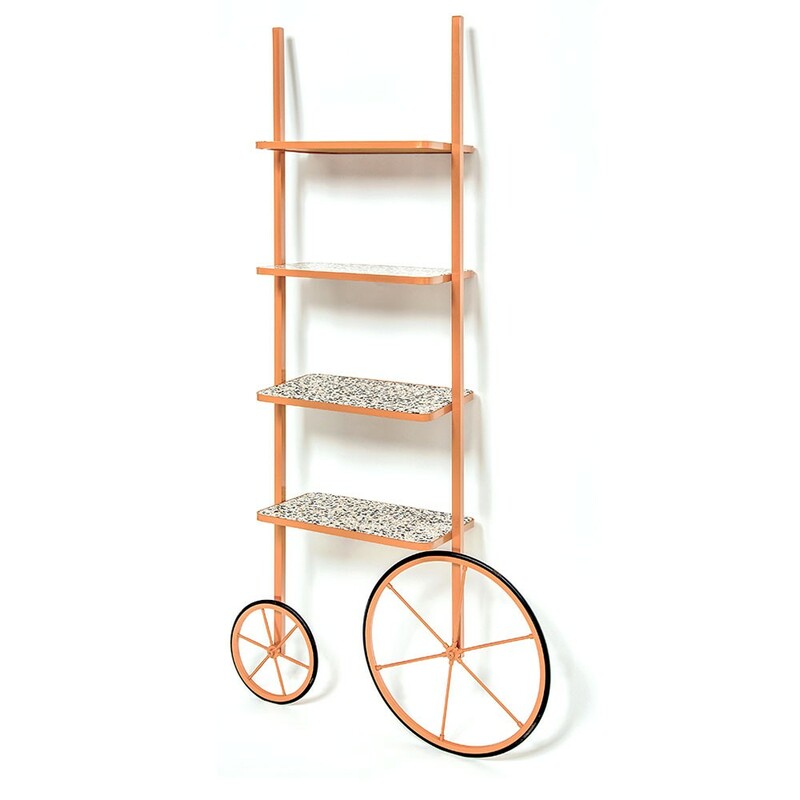 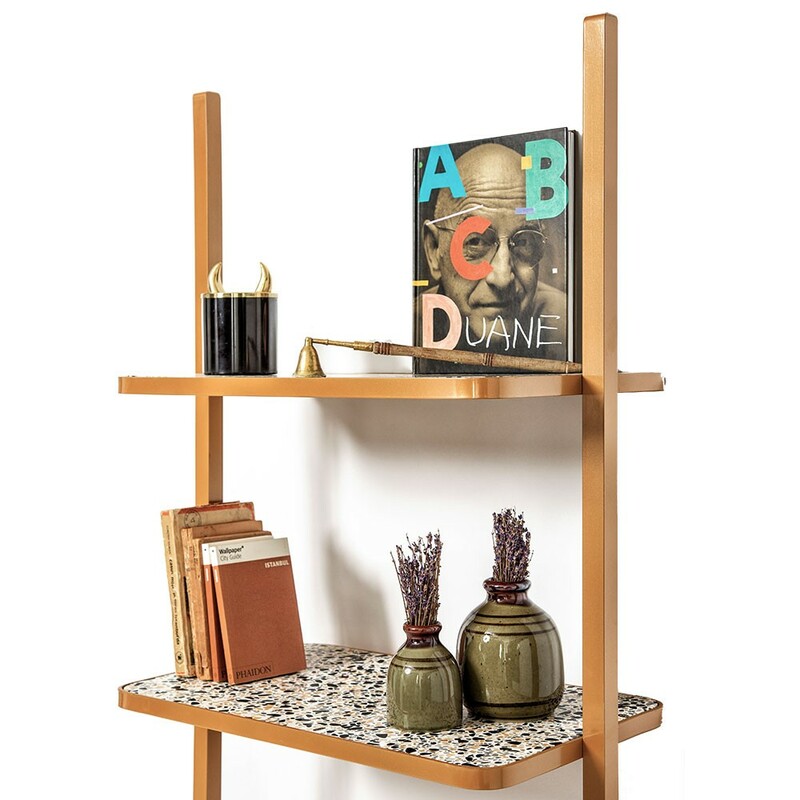 This unique piece is a library and a display shelf that can be wheeled and positioned in various locations around the space to meet the owners preference and purpose. 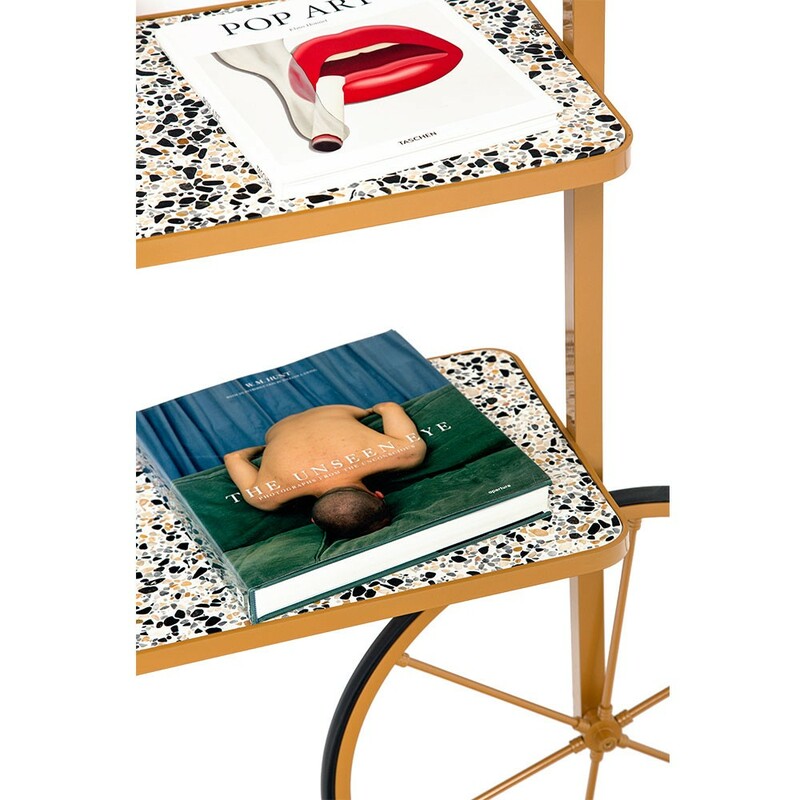 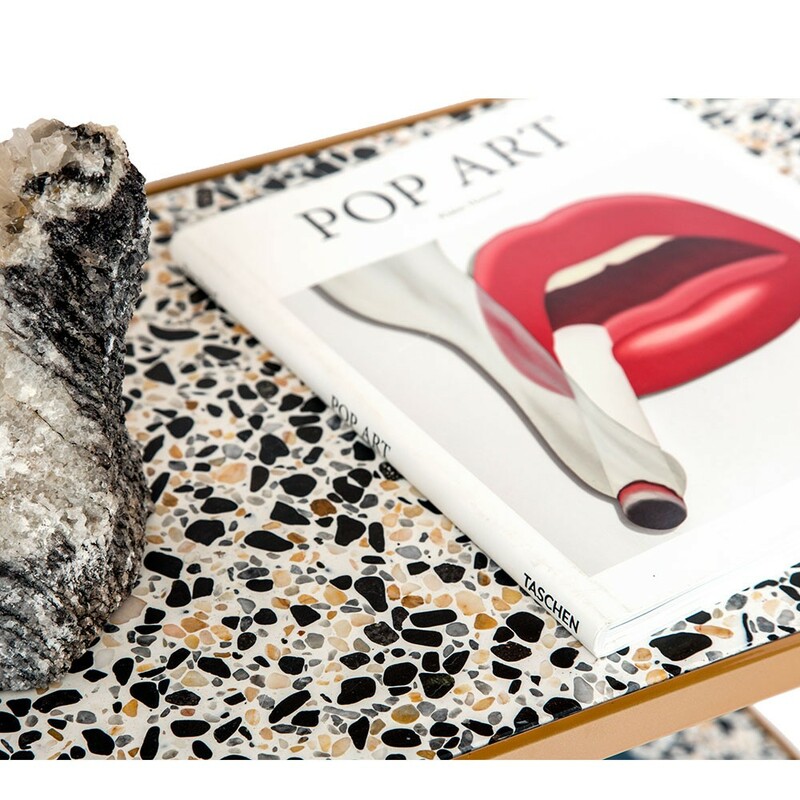 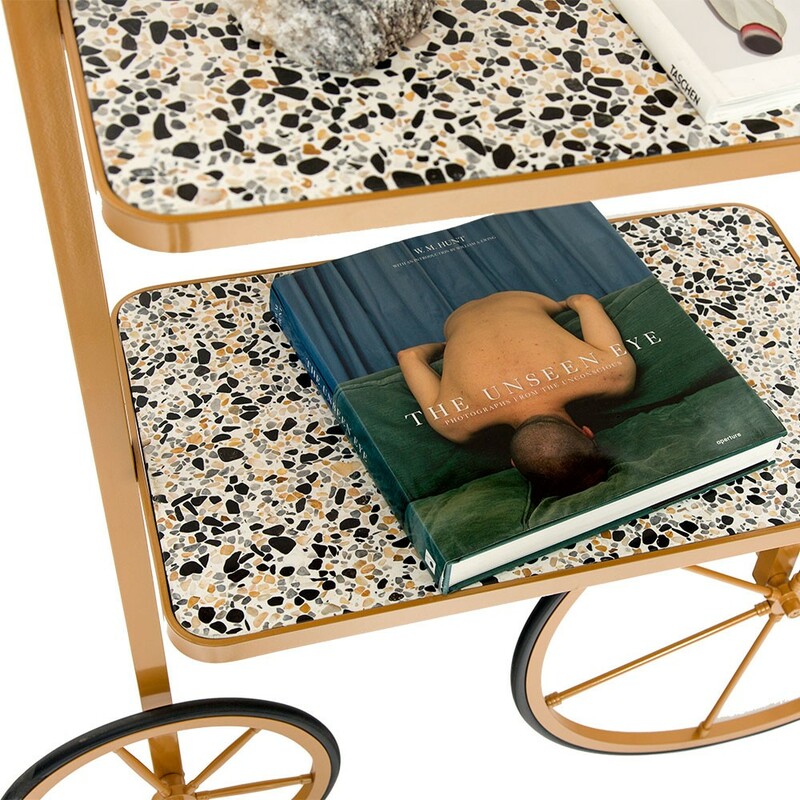 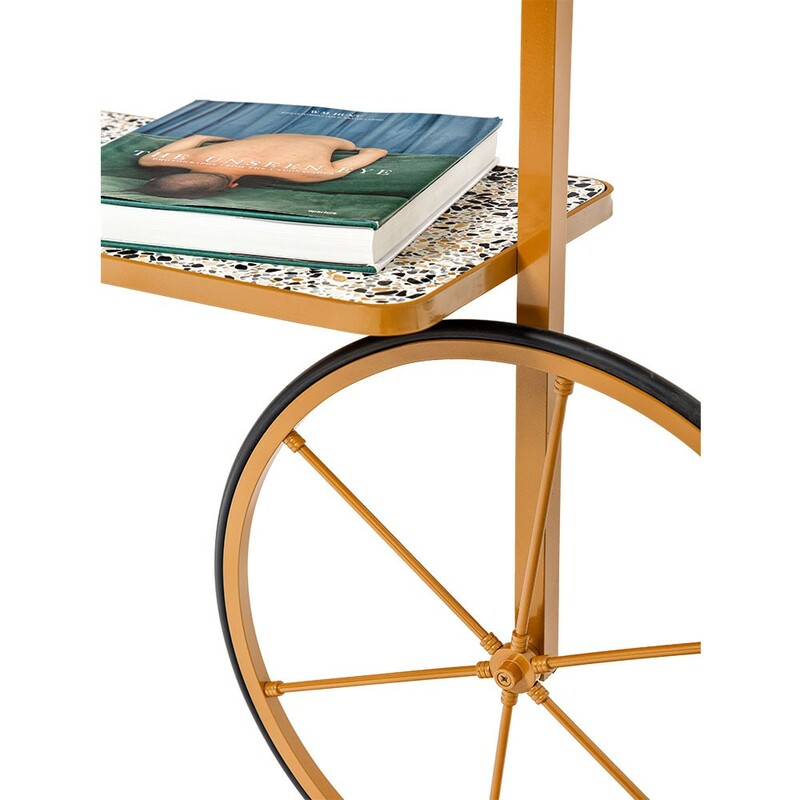 New version of Cyclopedia is composed of yellow color powder coated metal and mix colored terrazzo, this hand crafted piece is sure to bring an eclectic vibe to any surface it leans against.